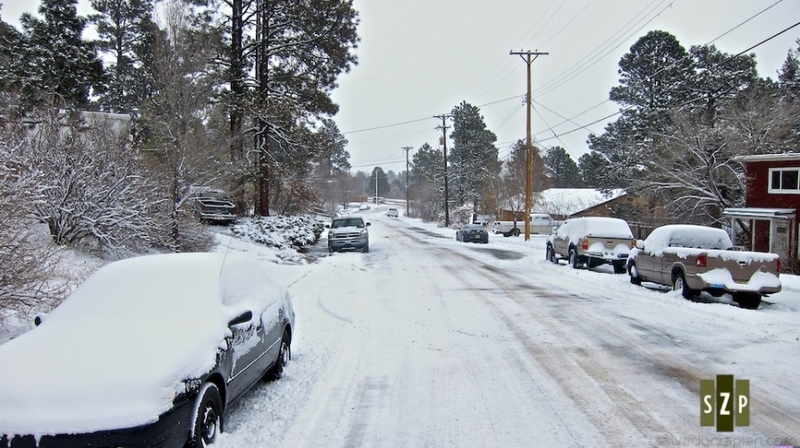 One of the many joys of moving to Los Alamos, NM: Snow! 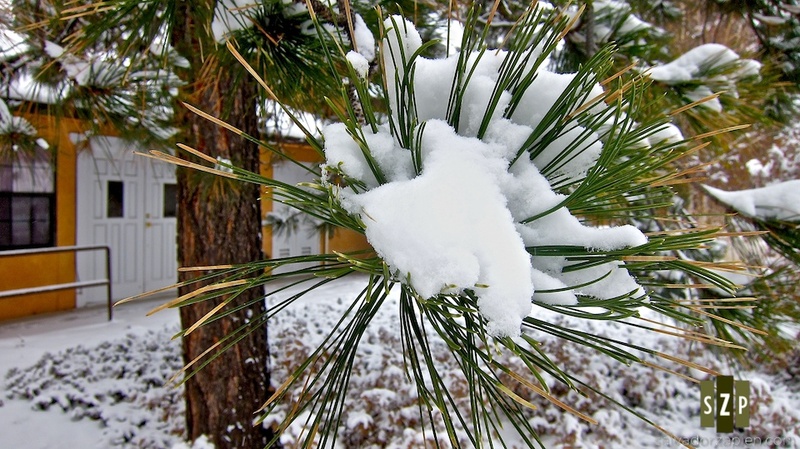 I donned the snow pants and snow boots to walk around the block and take pics before it all melted away. It's not a snowpocalypse but I don't plan on driving down our street today unless absolutely necessary. 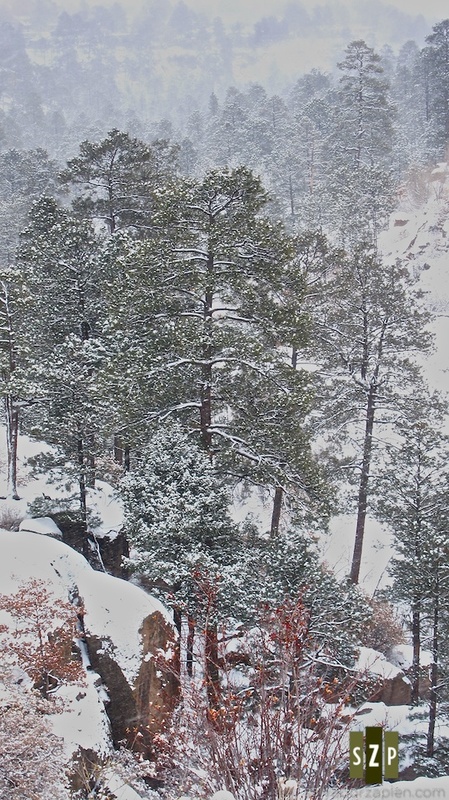 Trees in a canyon near our house are covered in snow. Snow accumulates on the pine needles of a ponderosa pine. 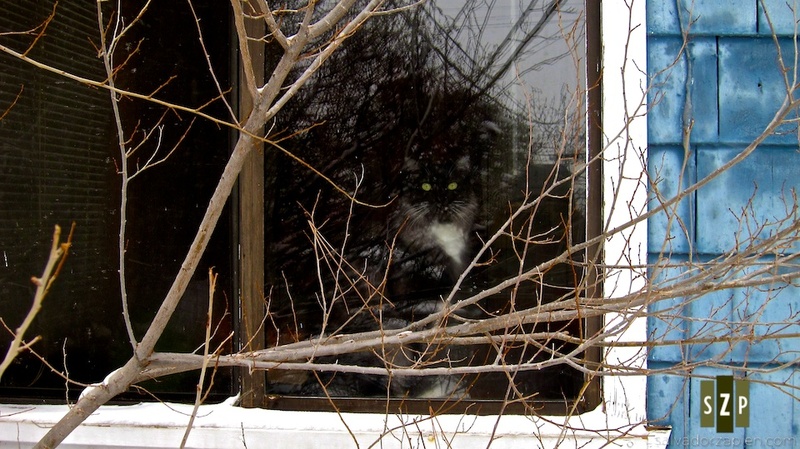 The Cat watching me with envious eyes as I wade around in the snow. 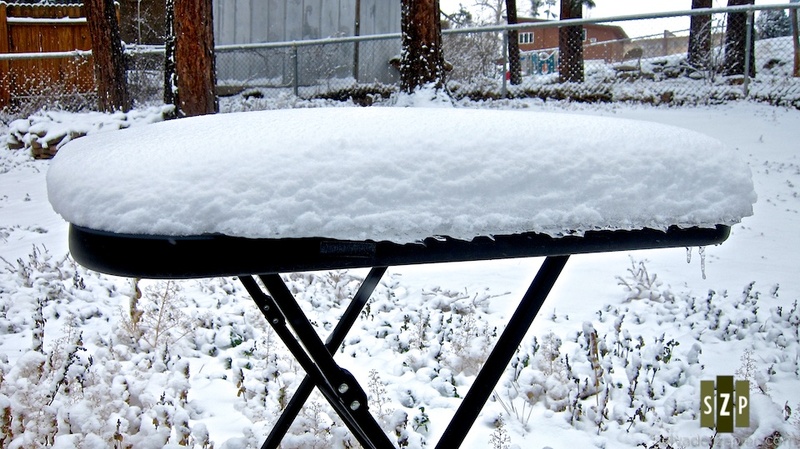 We've accumulated three to four inches of snow since Friday.